Old Grace brings Peg City Car Co-op to heart of Wolseley – Old Grace Housing Co-operative Ltd. The Peg City car has landed. 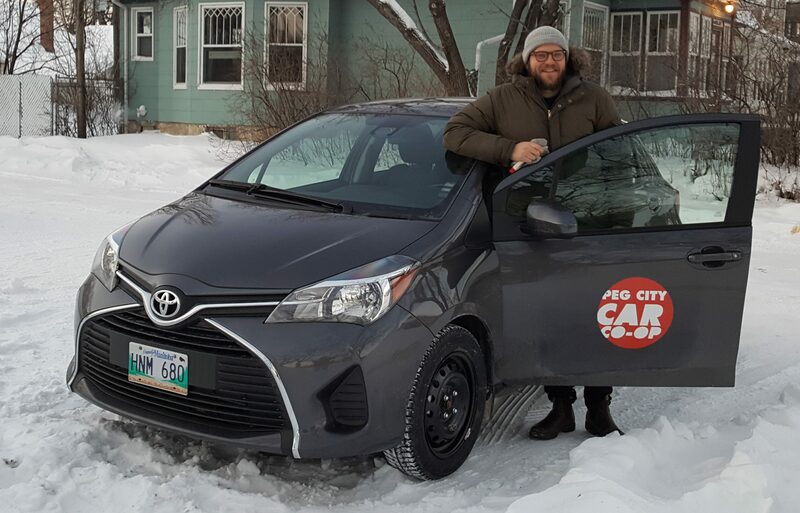 Old Grace Housing Co-operative and Peg City Car Co‑op are teaming up to bring carsharing to Wolseley. This month Peg City Car Co-op has located a vehicle on the Old Grace lot on the north-west corner of Preston and Evanson. This car will be available for use by any Peg City member. To find out how you can join Peg City, go to pegcitycarcoop.ca or call (204) 793-3912. Peg City has over 20 cars located in and around central Winnipeg. Members can book any of these cars online and they can be picked up and returned at any time of day. 91 per cent of members say they can book a car when they need one. 88 per cent were satisfied with the cleanliness of the cars.